COPA MUNDIAL IN ALL BLACK!!!! Whoooooo! 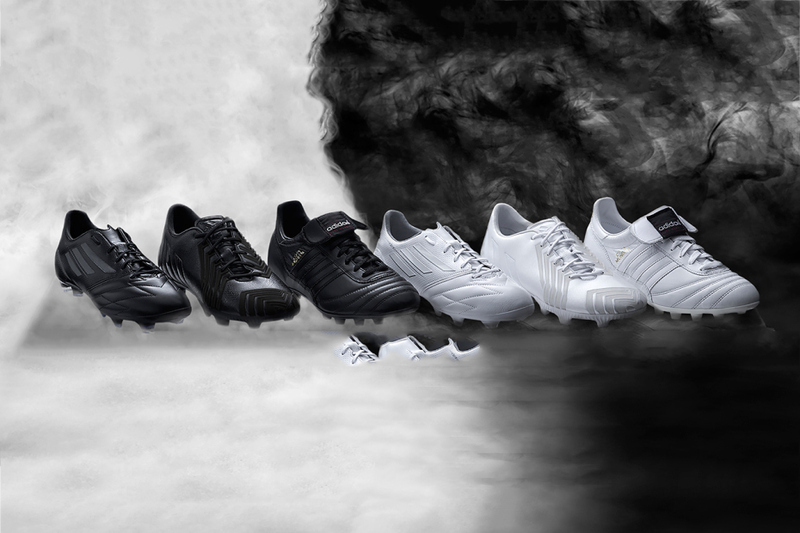 adidas has launched its latest range of football boots dubbed simply as the “Black and White” collection. Adhering to a crisp makeup, the collection brings to light iconic models from the past, the Copa Mundial as well as modern models such as the f50 and Predator. Available in black or white, the boots are made up of supple monotone uppers, while gold detailing at the tongue, vamp and heel panels round out the boots with a luxe finish. Check out a preview of the “Black and White” collection here and stay tuned for more information on release dates. This entry was posted in adidas and tagged adidas, Black/White Collection. Soccer, Boots, Copa Mundial, f50, Football, Predator. Bookmark the permalink.